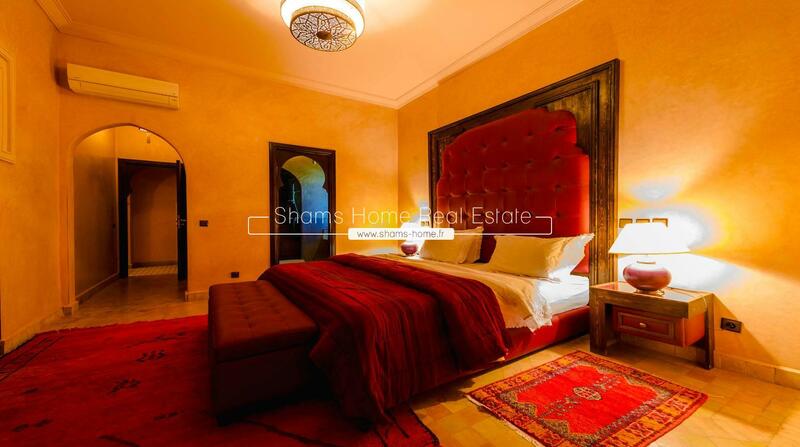 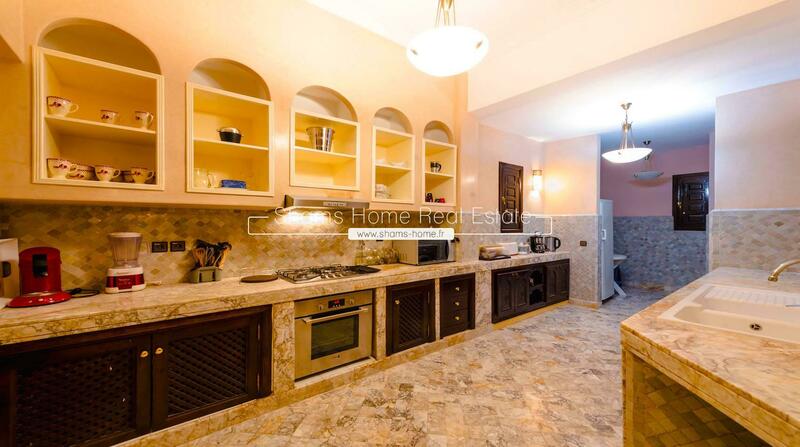 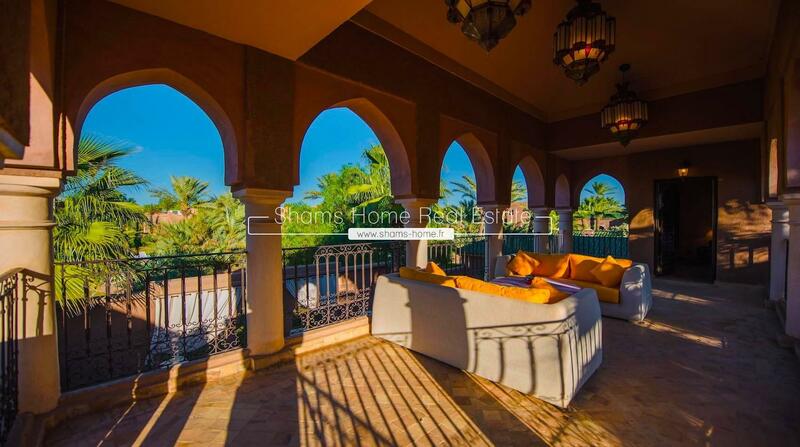 Shams Home, our Luxury Real Estate Agency in Marrakech, suggests you this Splendid Villa in Long Term Rental located in a green domain having a refined, calm and secure atmosphere with a high quality hotel service. 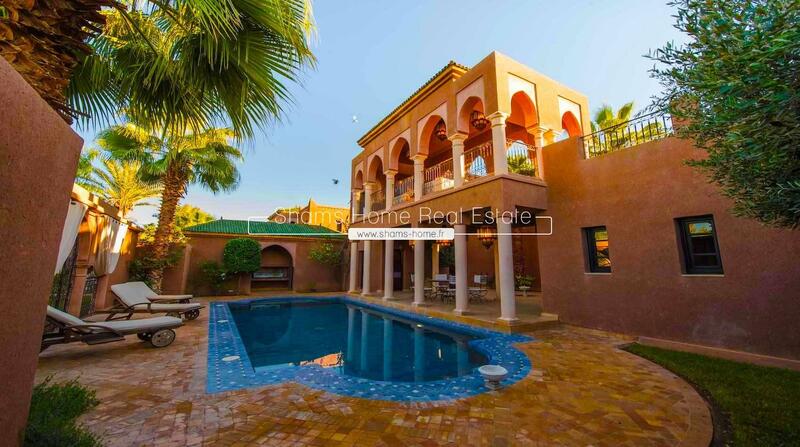 This Villa for rent in Palmeraie, has four spacious bedrooms with their private bathrooms, a large bright living room with a fireplace, a dining room and a fully equipped kitchen. 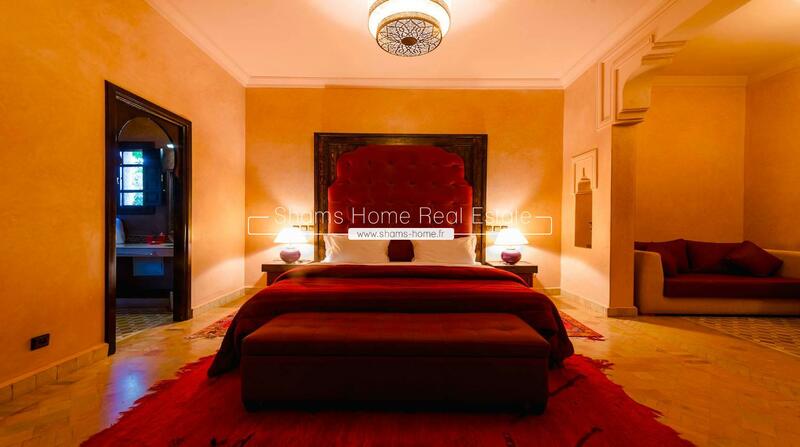 The uncluttered contemporary decor enhances the architectural details and encourages relaxation thanks to the elegance of its high-end furniture. 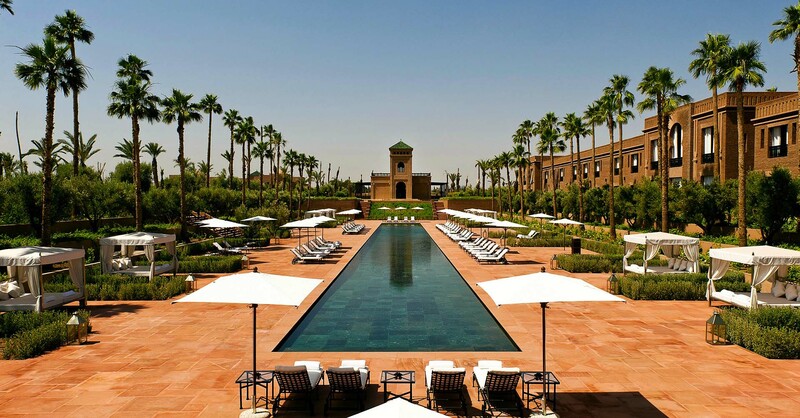 Outside, a pleasant freshness around a private pool, offers you a real sensation of escape just minutes away from the bustle of the city.